The Scottish Beef Association has thrown its weight behind a new initiative aimed at proving the authenticity of meat labelled as Scotch Beef. Scotland’s Food Standards Agency has confirmed a map of the country is being drawn up showing the chemical analysis of each area’s soil to allow scientists to pinpoint the exact area where cattle have been reared. As reported earlier this week a sample of raw neck beef will enable scientists to determine where the beef originated. In light of the horsemeat scandal, which has remarkably resulted in no prosecutions, the SBA insists any measures that can protect the Scotch Beef brand must be welcomed. 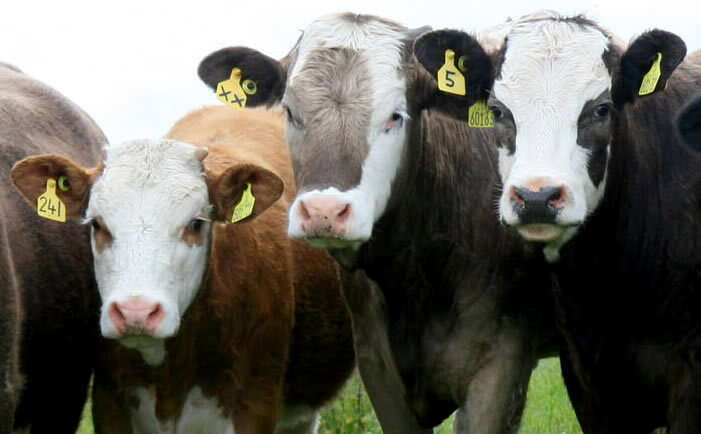 And they are confident the FSA’s initiative will help rid the country’s beef industry of anyone attempting to sell a product not meeting the high-quality Scotch Beef standards. More than 50 beef producers turned out last night (Thursday) for the Scottish Beef Association’s farm walk at Crailinghall, Roxburghshire. Courtesy of RG Barbour and Sons, those in attendance were giving an enlightening tour around some of the 2365acres - which helps comprise a suckler herd topping 650 cows - farmed by the family near Jedburgh. MSD Animal Health had a presence at the event and gave an insight into the Schmallenberg virus as well as detailing the vaccine they have developed to protect livestock from the disease. Research and education group Moredun were also on site to give a presentation on liver fluke. The visit will be followed next Wednesday (July 24) with an almost identical format at Jim Fowlie’s farm at Adziel, Strichen in Aberdeenshire.